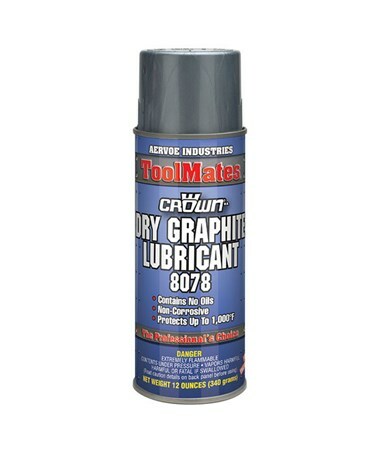 The Aervoe ToolMates Dry Graphite Lubricant (12-Pack) is designed for applications where petroleum products must be avoided. It has natural colloidal graphite composition and does not contain oil or moisture-based dilutants. Ideal for use on engine or mechanical parts before assembling, it produces dry coating that will not attract dirt or dust. This Aervoe graphite lubricant can effectively function at temperatures ranging from -100 degrees Fahrenheit up to 1000 degrees Fahrenheit (-73 degrees Celsius and 538 degrees Celsius). It provides excellent conductivity to reduce friction and stop squeaking or sticking of moving parts upon contact. Offering uniform coat bond, it prevents scoring and seizing on metals. 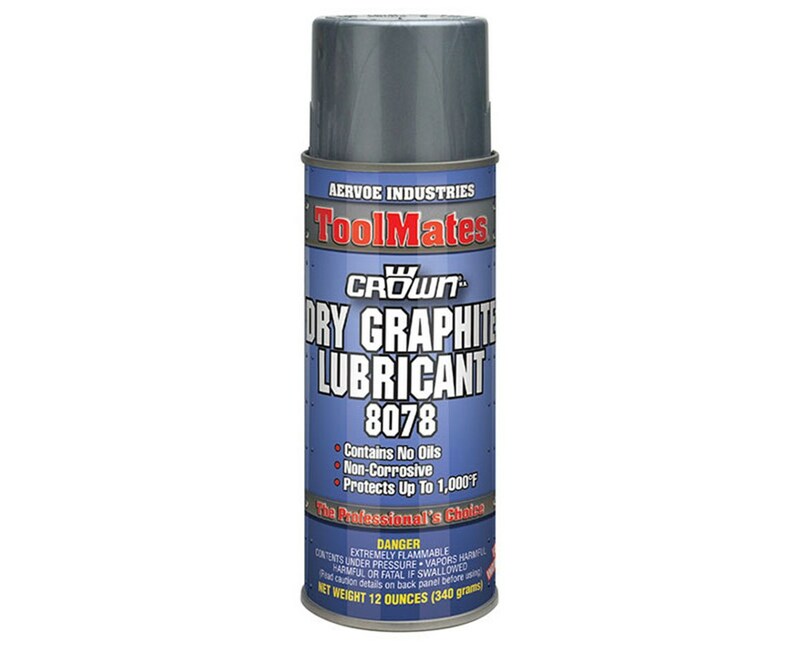 The Aervoe ToolMates Dry Graphite Lubricant (12-Pack) is perfect for automotive gaskets, conveyors, bearings, locks, springs, and chains. Keep in mind, however, that it should not be applied on machinery or electrical equipment while in operation. It comes in 12-ounce container and is sold by case of 12. With a one-year manufacturer’s warranty, it guarantees long-lasting efficiency.